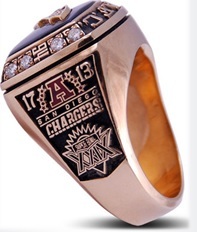 Talk about a surprise conference champion…no one saw the 1994 Chargers making it to the Super Bowl yet when I see this ring I think of Dennis Gibson knocking down Neil O’Donnell’s last pass from the 3 yard line touching off the Charger AFC Championship celebration. I think of the bomb to Tony Martin in the 4th quarter that alerted Pittsburgh that they were in for a dog fight for this game even though it was played in old Three Rivers Stadium. All was right with the world…except one of the greatest conference championship contestants, possible 3peat chance Dallas Cowboys or a free agent laden San Francisco team built to take down the Cowboys. Funny how this team navigated its way to the Super Bowl where those of “Air” Coryell lore would have been better suited to face Steve Young and company. 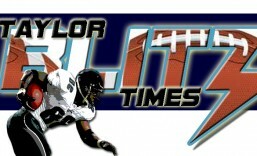 The upset of the Miami Dolphins in the divisional round was what threw the 94 playoffs for a loop. Natrone Means, Stan Humphries, Junior Seau, were on a mission thru the AFC playoffs to prove they DID belong and that the turnaround from a losing season to a winning one wasn’t going to be like 1991-1992. After a 4-12 record in 1991 they hired Bill Arnsparger and the defense took off and they turned around their fortunes to an 11-5 season. Many pundits didn’t believe they were real and when they lost 17-0 to the Kansas City Chiefs at home in the wildcard round, they learned they hadn’t garnered any respect. After a losing season in 1993, San Diego used the same formula, a last place schedule and defense to have another miracle turnaround from a losing season. 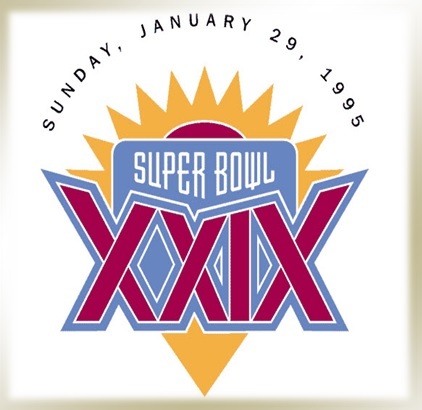 The ’94 Chargers swore to make 1994 different…they just ran into the 49ers. 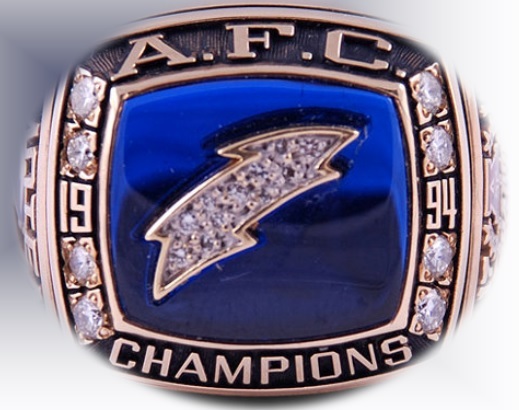 They at least have this glistening bauble as AFC Champions for 1994. This entry was posted in Ring of Champions and tagged Bill Arnsparger, Conference Championship Rings, Junior Seau, Natrone Means, San Diego Chargers, Stan Humphries. Bookmark the permalink.